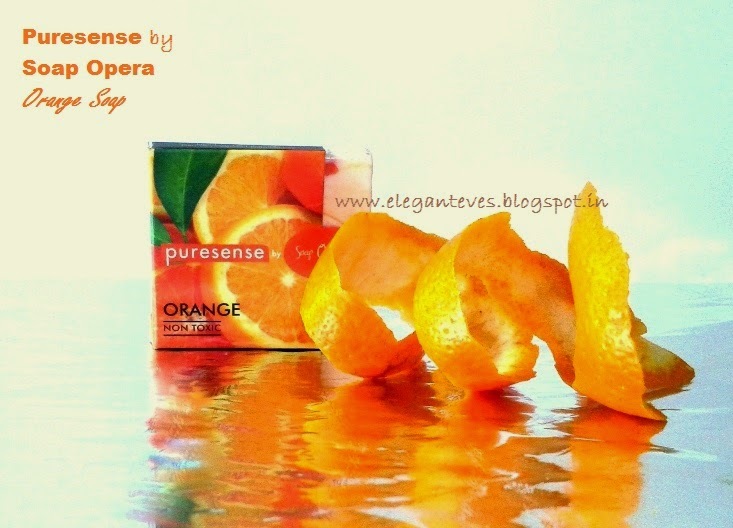 Hey ladies, today’s review is going to be about a natural soap by the brand Puresense. 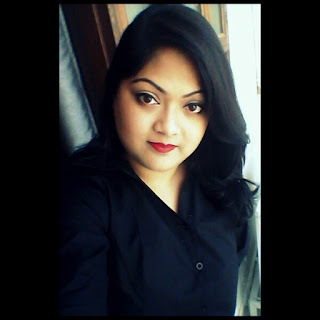 You will get the brand information and the way to get their products in the “First Impressions” post I did here. So now I will just jump to the review! Packaging: The soap is encased in cardboard packaging with colorful images on it. 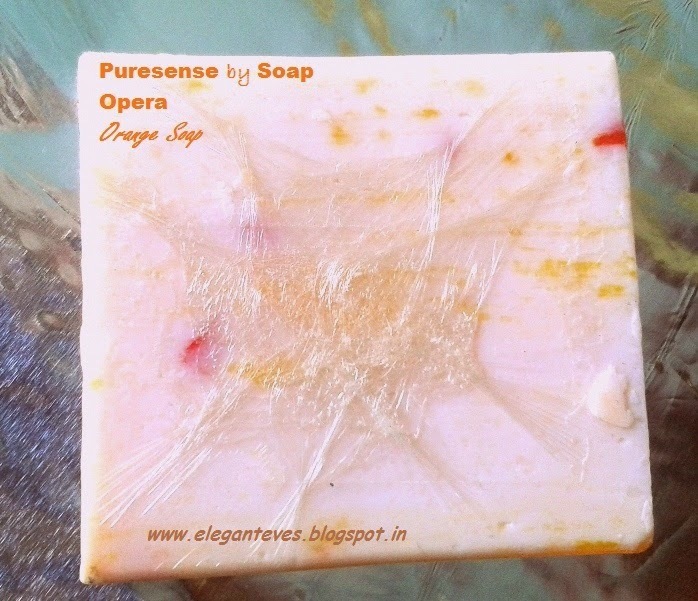 The soap also has a second layer of cling-wrap on it. 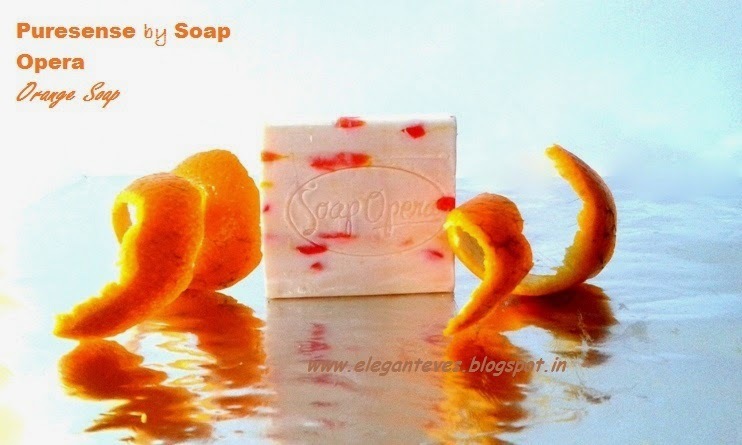 The soap contains orange peels in it which can be seen in the body of the soap. 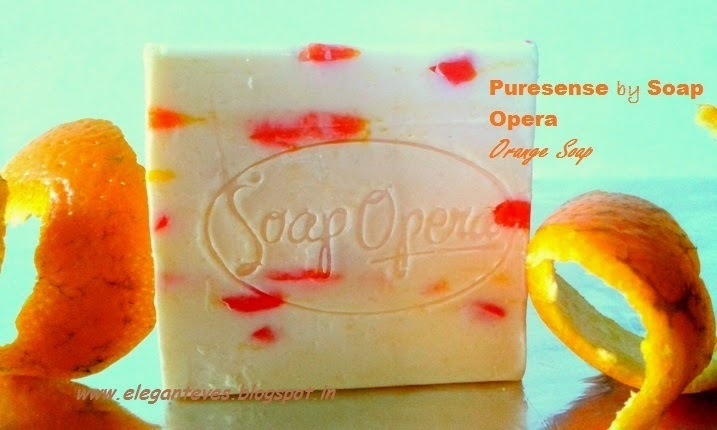 I heard that natural substances like fruit peels get translucent in the soap bar during the process of soap-making. I do not know how much that is true, but if that’s the case then the soap DOES contain lots of them in it! 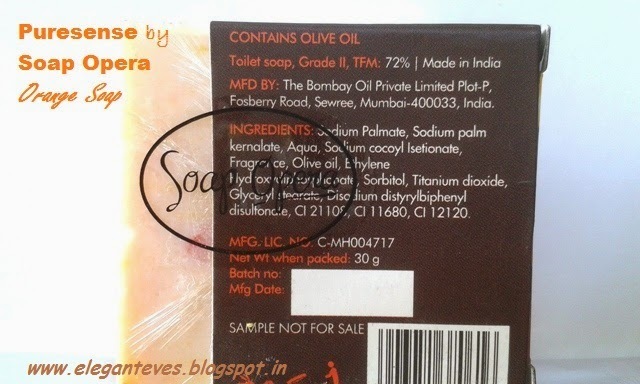 The soap lathers quite well and there is minimum drying of skin after shower. I am saying this even though I have insanely dry skin. But yes, you would definitely need a lotion after you are done with bathing. 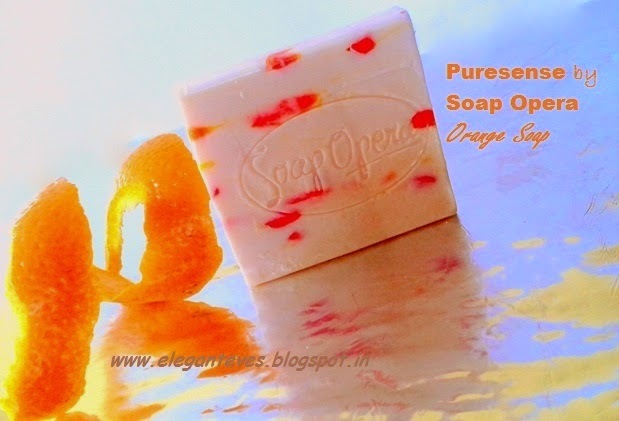 Recommendation: Puresense soaps are definitely worth trying.